hd00:17Aerial time lapse view of Kuala Lumpur city skyline during a clear and beautiful sunrise in the city from night to day at dawn. All visible logo blurred. Zoom Out motion timelapse. 4K available. 4k00:10KUALA LUMPUR, MALAYSIA - January 10 2016: Timelapse of dramatic sunset over KLCC Park, a public park located in the vicinity of Suria KLCC, Kuala Lumpur, Malaysia. 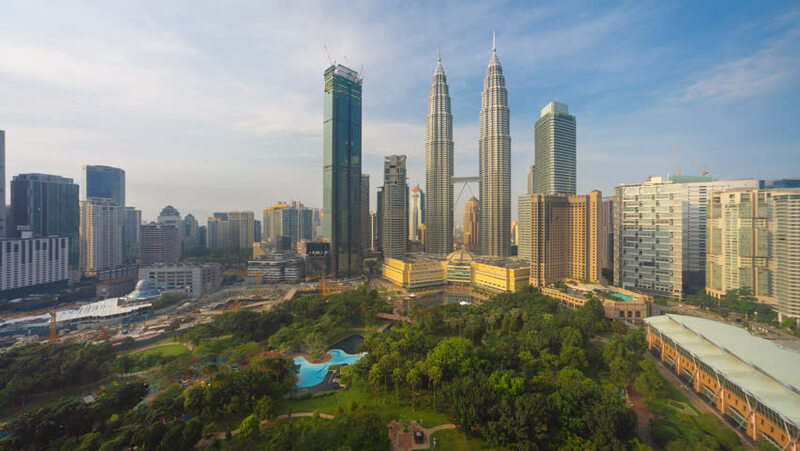 Motion Timelapse Pan Left..
4k00:07KUALA LUMPUR, MALAYSIA - CIRCA AUGUST 2017: 4K timelapse, cloudscape view of the Petronas Twin Towers and Kuala Lumpur City Center. Super high quality, 4k resolution. 4k00:07KUALA LUMPUR - CIRCA AUGUST 2017: Cloudscape view of the Petronas Twin Towers, Kuala Lumpur City Centre KLCC. 4k00:10KUALA LUMPUR, MALAYSIA - January 10 2016: Sunset over KLCC Park, Kuala Lumpur, Time lapse with stacked images creating artististic short brush stroke effect on the clouds.